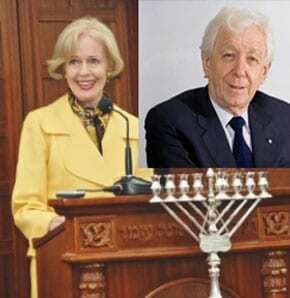 The Governor General, Ms Quentin Bryce, will lead Australia’s delegation to the 2022 FIFA World Cup™ Host Announcement on December 2 in Zurich, Football Federation Australia Chairman Frank Lowy AC announced today. Ms Bryce, who is the patron of women’s football in Australia, will also play a role in Australia’s final presentation to be delivered before the FIFA Executive Committee on December 1. “I am honoured to be leading such an important delegation which is on a mission that could have tremendous benefits for the entire nation,” Ms Bryce said. Mr Lowy said FFA was delighted the Governor General had agreed to lead the delegation. “FFA is extremely honoured that our country’s head of state will lead our delegation of proud and distinguished Australians hoping to secure the biggest sporting event in the world for Australia,” Mr Lowy said. “The Governor-General’s presence is bound to impress our friends at FIFA and her Excellency’s participation in the final presentation is a major boost to our campaign at such a crucial stage. Other presenters will include Mr Lowy and FFA CEO Ben Buckley. The delegation will also include Federal Sports Minister Mark Arbib who will also be representing the Government. “The Sports Minister has been a great supporter of the bid and has been working tirelessly behind the scenes,” Mr Buckley said. Each bidding nation is given 30 minutes to present to the FIFA Executive Committee before they vote to decide the hosting nations and Australia’s final presentation will be directed by award-winning director Phillip Noyce who will also be part of the delegation in Zurich. Australia will be the first nation to make a final presentation to the FIFA Executive Committee before it decides the hosts of the 2018 and 2022 FIFA World Cups. Australia has been drawn to present at 14.00 CET (Midnight AEDT) in Zurich at the Home Of FIFA on December 1. Australia’s final presentation concept includes live speeches from the Governor-General, Mr Lowy and Mr Buckley. A short film has been produced highlighting famous Australians in iconic Australian locations as part of our Final Presentation at the direction of Noyce. The final decision on the host nations for the 2018 and 2022 FIFA World Cups™ will be announced from 4pm CET (2am AEDT) on December 2 and will be broadcast live on Foxsports, SBS, One HD and ABC 24.